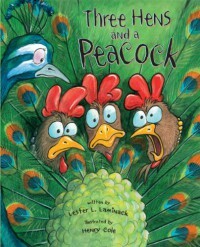 Peacock ruffles feathers in "Three Hens and a Peacock"
This is the cutest book written by Lester L. Laminack. The story begins with a quiet day on the farm, until a strange box falls out of the back of a truck. A beautiful bird, with strange feathers, comes out of the box and struts to the farmers stand. Cars being stopping and taking pictures, and the farmer gets more business than ever. Back at the farm, the hens have became upset because they think they are performing all the work on the farm and the peacock gets to have all the fun. The four birds swap roles after guidance from the old hound, and at first it seems marvelous. To find out the fate of the birds, you will have to read the rest. At the end of this story, another mysterious box falls from the truck but no one knows what's inside. This would be a great writing activity for the class because they could make inferences about what was in the box and predict what would happen next on the farm. Another activity could be to compare and contrast this story to the "Three Little Pigs" by using a vinn-diagram. This text is a 3.3 on the Accelerated Reader scale. Rhyming Words with "Hop on Pop"
This is a very basic book for beginning readers. 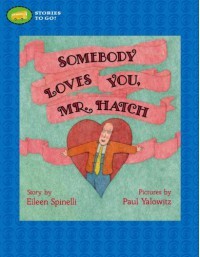 This book draws young readers in because of its easy, rhyming language. "We hope on Pop. Pop said stop." This sentence is used in the book and can easily be distinguished by beginners because the word combinations are identical and rhyme. These patterns are predictable and is great for the youngest of readers. My daughter, who is almost three, loves this story because these are all words she can say and relate too. These words include mouse, house, all, tall, small, fall, wall, hat, sat, Pat, and many more. This book is leveled a BR on the Lexile Leveling system. 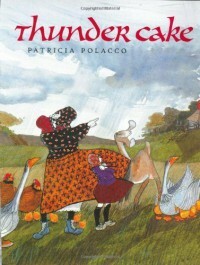 Thunder Cake is a heart warming story about Patrica Polacco's Babushka, who helps her overcome her fear of thunderstorms. She achieves this by having Patricia go to different places across the farm to collect ingredients for her famous Thunder Cake, which can only be made during a thunderstorm. Babushka must have tomatoes, strawberries, milk, and eggs which all call for Patricia to be brave and gather these things, all while working against the clock before the storm arrives. Just as all grandmothers, Babushka instills confidence in her granddaughter by proving she is quite brave after all. In the classroom, you could use this book to introduce your class to weather maps. By bringing in different maps from different parts of the world, you can teach students what different symbols mean and encourage them to inquire about the weather in your area, in our country, and around the world. This book is leveled in the AR system at a 3.5. 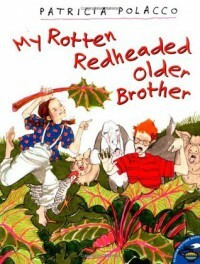 Making a wish with "My Rotten Redheaded Older Brother"
Do you have rotten older brother? If you do, or if you are the rotten older sibling, you will definitely be able to relate to this book. Puzzled by her grandmothers love for him, Patrica Polacco tells about her relationship with her brother as they grow older. Richard, who is four years older than Patricia, is quite the prankster and can always do things better or faster than her. Of all things, Richard loves rhubarb and tricks Patricia into eating so much it gives her a stomach ache. The siblings attend a fair and that is when Patricia sees his true love for her. To find out what this rotten redheaded older brother does to win over her appreciation, you'll have to read and find out how heroic he can be. With this story, you can have each student write about a time they wished for something, and it came true in a completely different way than expected. Or you could even have them write their own narrative about their rotten sibling. This book is a great resource for showing students how to write a narrative and can stir up some creative juices. This story is leveled on the AR system at a 3.3. 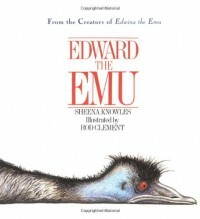 Stay true to you with "Edward the Emu"
This great story, Edward the Emu by Sheena Knowles, is a lively tale about an emu named Edward. Edward lives in a zoo and overhears many spectators say that the seals, lions, and the snakes are the best, most loved, animals in the zoo. Edward becomes heart broken and travels to each of these cages in hope to become the most appreciated and loved animal. While in the snakes cage, he hears that the emu is the best of all and decides to return to his pin. Upon arriving back, something startles him but to find out you'll have to read the rest! Edward is a great character and portrays the "grass is greener on the other side" idea very well. This entire story is rhyming and has a great natural rhythm while reading. I could see myself using this text to compare and contrast different animals using a vinn diagram. Students could compare and contrast Edward and one of their favorite animals at the zoo or even an animal in the text. This story has an AR level of 3.6. 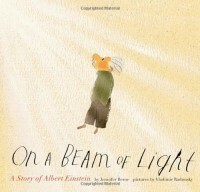 Albert Einstein- "On a Beam of Light"
On a Beam of Light is a story about Albert Einstein's life and how he was not at first accepted by others. When reading this text, I even learned new things I did not know about his life. This story starts off by explaining that Albert did not talk much as a toddler and his parents knew he was very special. It goes on with Einstein attending school and a teacher scrutinizing him to be more like his peers. He began reading books about numbers, light, and sound and wanted to be a teacher someday, but was unable to find a job and began working in a government office. Eventually, he began sending letters to science magazines who in return published his works, because they seemed to be true. The story ends with Albert leaving many questions for scientist to answer today. This story would be great to use with a research project or comparing and contrasting important historical figures. It also includes a character lesson that encourages students to stay true to theirselves and always believe in their potential. This story is a 4.5 on the AR system for leveling. 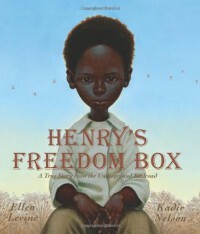 My co-operating teacher introduced me to this inspiring and emotional true story about Henry "Box" Brown. This story takes place during slavery and is a story about a young man who escapes through the underground railroad. After being torn from his mother at a young age, he started his very own family while living with his new owner. Year passed, and Henry felt as though his family was normal until his wife and children were sold at the slave market. With tears in his eyes, he watched his family in shackles, ride off knowing he would never see them again. A kind man, who opposed slavery, helped Henry construct an escape plan. To find out Henry's fate you will have to read the rest! This text will definitely be included in a history unit in my classroom. It gives a great perspective on how children lived in terror during slavery. This book is leveled at 3.0 on the accelerated reader scale. This text is not so much instructional as the others I have posted, but it sure is empowering and inspiring. I do not know anyone who is dyslexic but I am sure I will have a student who is in years to come. This story could be used to prevent bullying and also encourage a child who may have dyslexia. Not only is this text inspiring to a child who faces these challenges, but it is inspiring to us educators who at times can forget the reason we love teaching. Our calling is to empower and help our students be the best they can become. This text is quite lengthy but the message behind it is very powerful. Along with the text, the pictures are exquisite and help the reader understand the text on an emotional level. 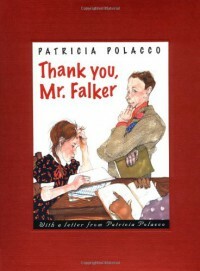 Tricia struggles to overcome her dyslexia and is passed on by all her previous teachers until being placed in Mr. Falker's class. He truly teaches her to read and feeds her hunger for knowledge unlike any teacher she has had before. This book must be read to receive the full extent of the message. This book is leveled at 4.1 on the AR leveling system. 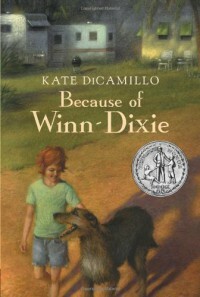 "Because of Winn-Dixie" by Kate DiCamillo is my hands down favorite children's chapter book. 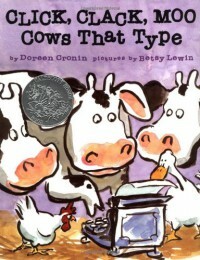 I remember reading this book in third grade and it increased my love for chapter books tremendously. The story is about a little girl named Opal who moves to a new town and has to meet new friends and adjust to a new environment. Fortunately she meets a dog who changes her world and helps her get through many trials such as asking difficult questions to her father. This book is a great text to use for setting, main events, and all the elements a story has to offer. Along with these, it has great vocabulary for a beginning lover of chapter books and will draw a reader in quickly. When discussing theme, this text has several different realistic themes and each student could easily write about one. The accelerated reader level of this text is 3.9. After being reintroduced to this text after many years, I fell in love with it all over again. My co-operating teacher read this story during a whole group lesson on inferencing and I was amazed at how well this text worked with the standard. Essentially the story is about a man who is contemplating cutting down a large tree in the Amazon Forest. Before doing so, he falls asleep beneath the tree and the animals and a child speak to the man in an attempt to convince him to decide differently. 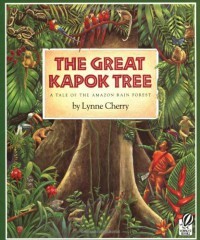 Each page gives an opportunity for the teacher to stop and ask the students to use their background knowledge and infer what would happen if the man were to cut down the tree. Within each page, there were clues that if the student was listening he or she would easily be able to make an inference. This story is leveled as a 3.8 on the accelerated reader system. I had never heard of this book, until I began visiting my CT's classroom and she taught a unit revolving around this text. If you have never read this book by Michele Knudsen it is one to go on the must read list. This book is about a librarian, Miss Merriweather, who is very particular about her rules for the library. The aide in the library, Mr. McBee is also pretty particular, but he becomes jealous when this new friend the "lion" begins visiting the library daily. Mr. McBee's feelings cause him to take actions he would most likely not normally take. This is an upset to the lion who also has to choose the best actions for his feelings. I won't spoil the story but the book has a great ending and will have students connecting feelings and actions better than before. 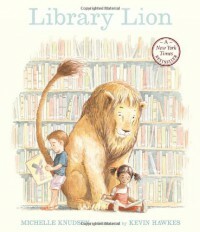 Library Lion is leveled at 2.8 on the accelerated reader system. 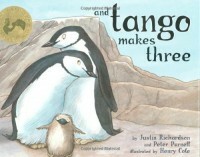 Among much scrutiny, And Tango Makes Three is a story about two dad penguins who care for an abandoned egg. The egg hatches and Tango makes her grand appearance. This nonfiction story, takes place in Central Park Zoo in New York and is a part of the banned books collection. I agree that this text is a little risqué and should be used for special purposes to make sure no parents get offended. This book would be great in the counselors office for a child who has a homosexual family and needs some encouragement or who may have questions regarding what homosexuality entails. This book is leveled at a 720L on the Lexile system. 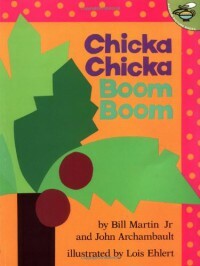 The classic story, Chicka Chicka Boom Boom, is exceptional for a kindergarten or pre-k learner. This book can help those struggling with their alphabet and leaves them remembering a catchy tune. The rhyming of this story makes the text even more interesting and the student experiences some word play with some of the letters, including loose tooth T and black eyed P. In my experience with this book, it has been effective for all readers and even the oldest of readers enjoy this text. This book is leveled at a 530L. Growing up, this was one of my favorite books to read. I remember checking it out several times at my schools library. This book is perfect for the students who love animals and especially love farm animals. Doreen Cronin writes this book perfectly to enable its use in the classroom to promote writing letters. The format the cows use is exactly how a letter should be written and it would be a great example to show younger students. You could have the students write a letter to Farmer Brown, the cows, or just a parent but the guidelines shown in the text are perfect for a lesson in writing letters. This book is leveled at a AD160L on the Lexile Leveling system. 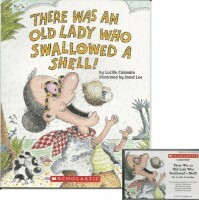 There was an Old Lady Who Swallowed a Shell, is a spin off from There was an Old Lady who Swallowed a Fly. Personally, I like this version because it involves the beach. The author, Lucille Colandro, does a great job to sequence the next culprit the lady swallows. Any of these versions, could be used to help students with sequencing. Have the students fill out a sequencing activity sheet or divide the class into groups and assign each member a different object then have the students put their selves in order. This book is leveled at a AD390L on the Lexile Leveling system.